The Science Program at Sunrise is unique. In most other elementary schools in the district, science is taught in the classroom by the classroom teacher. At Sunrise we have a Science Lab, and a Science Specialist, who teaches 2 out of the 3 science units that students receive every year. The unit that the Specialist does not teach is done by the classroom teacher in the classroom. While the students are in the lab, they benefit from having hands-on experience in a lab setting much like one they will experience in Junior and Senior high. Both their classroom teacher and the Specialist teach together, providing a rich experience for students. 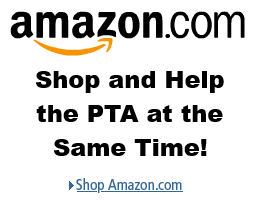 The PTA provides funding for the lab, supplies, and the Specialist. How often are students in the lab? * In the past, Kindergarten has not received science in the lab. ** Fifth Grade will also go to the lab once a week for 30 minutes, about 4-5 weeks before the Science MSP for review. Benchmark assessments (grades 1–6) with online access for administering, coding, and analyzing assessments (grades 3–6). What Science units are taught? (Black is by the science specialist in the lab, red is by the classroom teacher in the classroom). The same units are taught each year to the grade level they have been designated to as established by the Northshore School District.